Here we collect articleas related to photo-business. How to place furniture in photo-store, how to place goods etc. Marketing devoted terrabayt thousands of books, articles and journals. One section of marketing is merchandising. It iss the science of how to properly position the product for sale. I hope that the proposed article to your attention be useful for you. The material helps correctly position the product, namely the film, in a photographic shop. Let me introduce you some options for the layout of a photo shop with a compact minilabs, developed by the specialists of Gretag. The new, high qulity, individual shop system, thet provides maximum flexibility on minimum floorspace. The MasterShop concept provides flexibility, space-saving, reusability, easily assembling, adaptability, cost-efficiency. 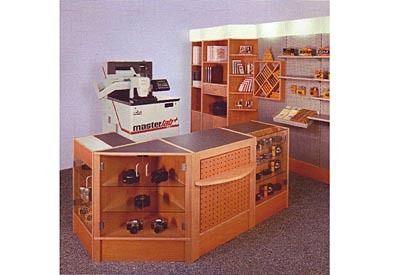 So you've decided to buy minilab. You understand that it must be profitable. Strictly speaking, you are buying this technique to make a profit. But did you remember that in photoshop, not only develope the film and print photos, but also sell photo equipment? Are you thinking about how to place your commercial equipment, goods and minilab to make the store "pump" money from the pocket of the buyer? Minilab spare parts shop. Worldwide. Delivery of spare parts for minilabs Noritsu Fuji Konica etc. Brand new gears, rollers, chaines, PCBs, AOM drivers, pumps, sensorrs and many other spare parts for world brand minilabs.